At long last, we were returning to the coast in its purest form. 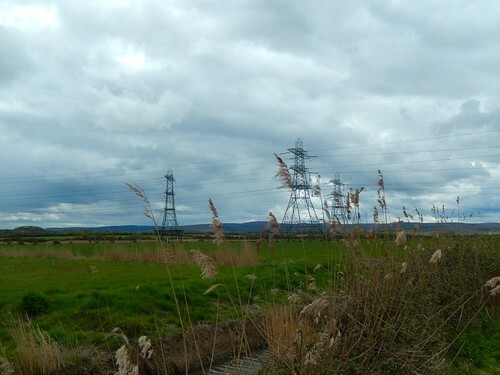 Beyond the beaches of seaside towns and somewhere beyond the riverside trail… Now, all we had to overcome was a nuclear power station! It felt so good to have finally regained our connection with the sea. From here on, we knew we would be following it until the end. Ahead of which, the very best bits of this coastal adventure still lay in waiting for us. 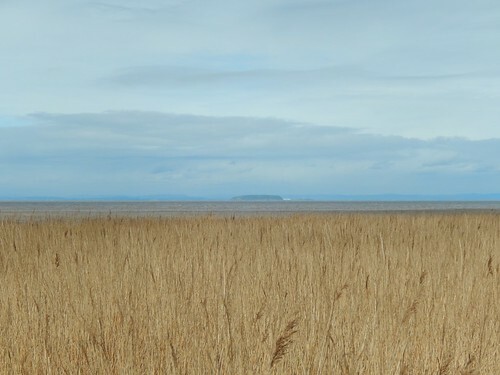 From Bridgwater Bay, we took a short walk along the road before rejoining the coast path, saying goodbye to Steart and its wetlands habitat. 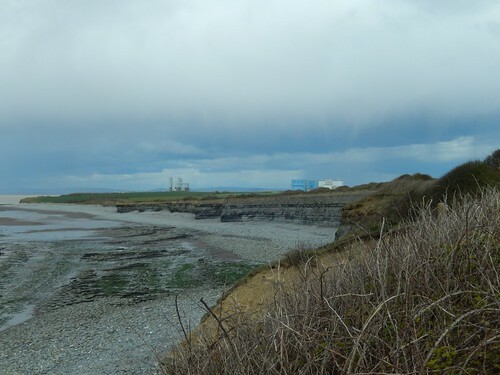 Hinkley Point had been looming, since we resumed our walking a month ago. 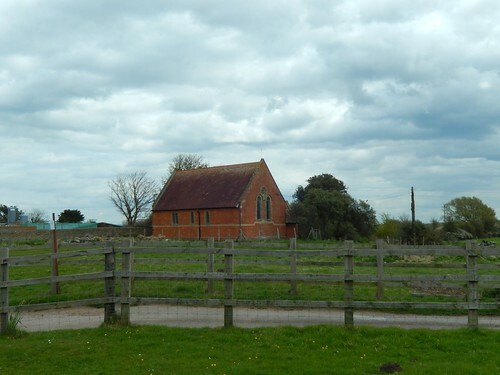 We were only an hour’s walk from the security fencing and uncertainty that surrounds it. 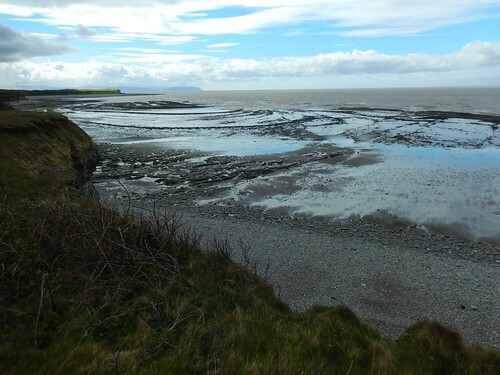 Where we had walked the sandy beaches of Brean and Burnham-on-Sea before Christmas; here we were, trekking beside the pebbled beaches and mud of West Somerset. While you could not easily build a castle here, people have been known to uncover small fossils within the rocks. 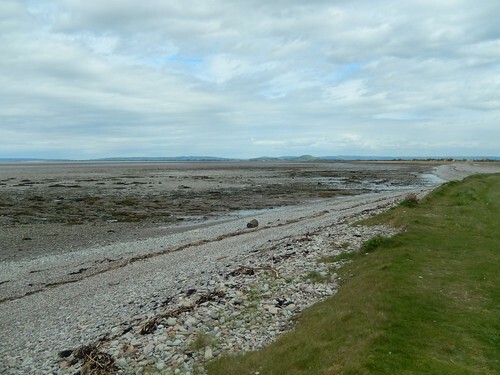 According to the OS map, we missed a trig point right beside an unsigned car parking layby at Wall Common, on the western-edge of Steart. 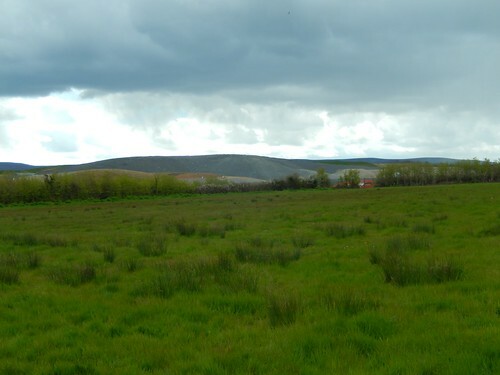 It’s possible it’s no longer there but a future walking challenge may see us return to this area in the coming months. 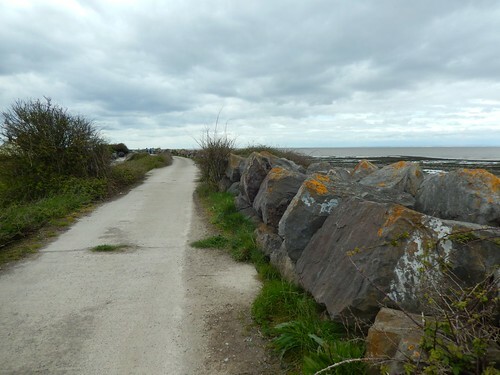 Following the coastline in to Stolford, on the edge of Stogursey; we left the rough terrain for solid concrete with large rocks positioned in the form of a sea wall – this was reminiscent of our walk from Clevedon towards Kingston Seymour. I like the contrast, above, between home and (expanding) power station. Click here to read more on the diversion. Out of picture, there are lamp shades that apparently show evidence when radiation is leaking from the site… I’ve no idea how that works! 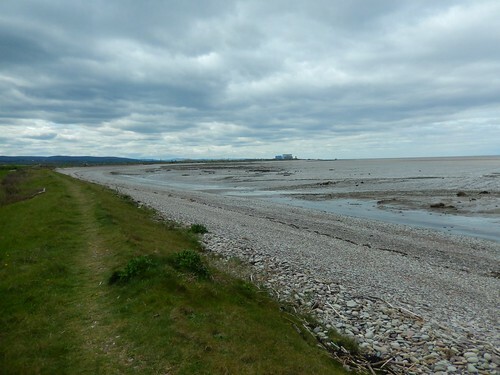 As we turned away from the gate to follow the ‘diversion’ (which, I’ve since read, will remain in place until 2019, during the construction of Hinkley Point C), we noticed a small group of dog walkers at the beach beneath us, continuing west beside the wall… I can’t imagine it’s possible to walk very far before you’re faced with the threat of mud. 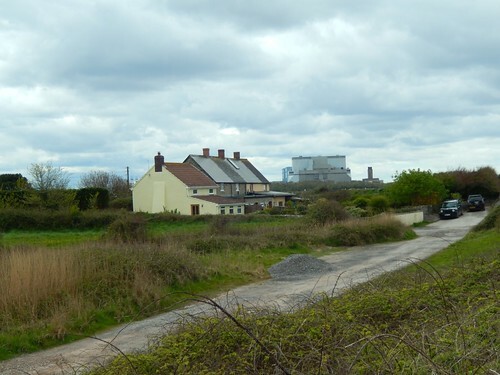 Even then, there are surely going to be warning signs, being in such close proximity to the nuclear power station. 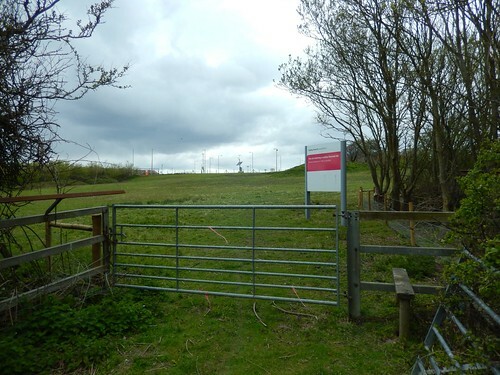 I’ve no idea why it’s closed and can only hope it’s a Health and Safety matter, with work being undertaking to extend the site westwards… Otherwise, I don’t see what harm could be done if the path was left open. Hopefully, we’ll get to re-walk this bit in a few years’ time. 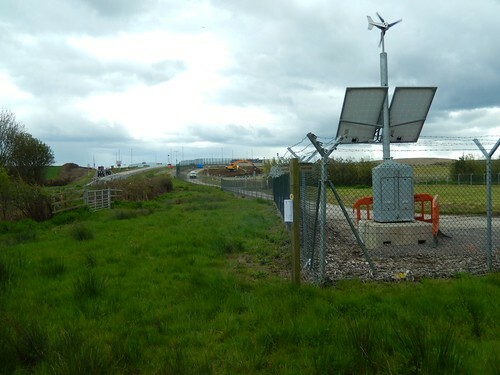 In every other account I’ve read; the coastal walker is suddenly approached, stopped and questioned by a “sentry”, employed by Hinkley Point. Along with that, the footpaths nearby are often overgrown and difficult to navigate. 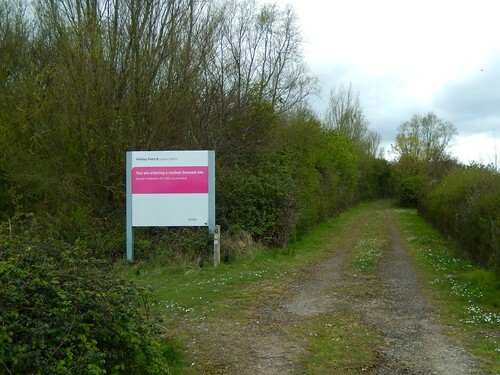 It’s possible that ‘He’ was employed to keep people on the right track and away from the restricted areas… (But then, why not ensure better maintenance of the paths?) Or, as others have suggested; perhaps his purpose was to sniff out the likely protesters and deal with them accordingly. Anna and I were quite fortunate then, in that respect; as we were neither stopped or questioned by anyone and it looked as though each of the paths we followed had recently been cleared (perhaps, due to the recent designation of the England Coast Path). 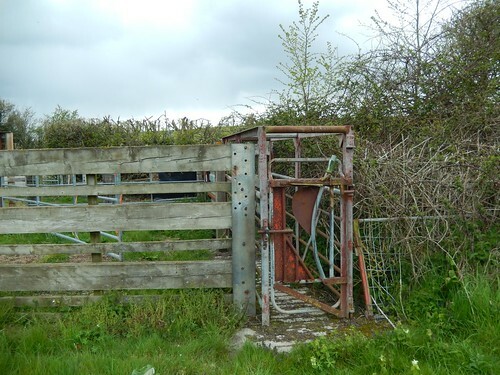 You don’t have to walk through this gate to reach the road but I fancied the near-decapitating experience, just because it was different. Heading south now and along the diverted route; we were on our way towards the Quantock Hills… At least, that was the image I tried to keep in mind, with all that was to follow for the next hour. Following the A38 and A39 past Bridgwater was like a dream, compared to this. 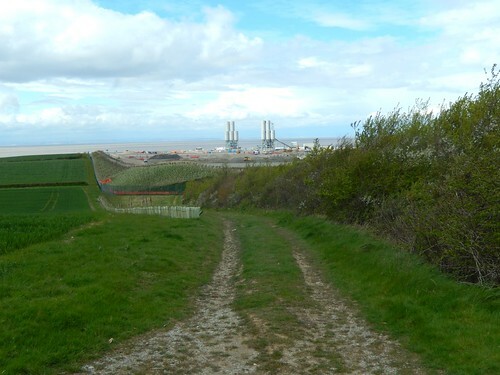 Clearly following the coast path signs before reaching the road, a police vehicle drove past us, stopped, reversed back, the driver glared at us and then, it continued towards the power station. Minutes later and, as we followed the boundary of one of the construction sites, a pickup tuck pulled up alongside us (other side of the fence), the driver, again, watched us, before continuing cautiously on his way. This reminds me of the driving test I actually passed on. 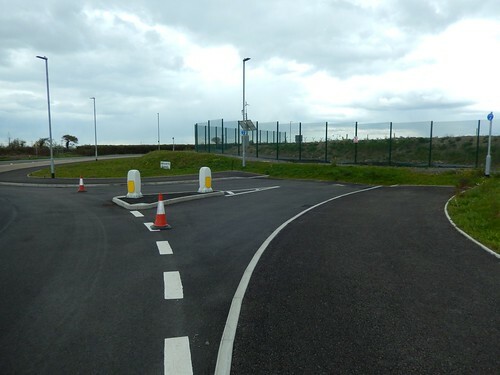 As if the sense of “suspicion” and near “unwelcoming” weren’t enough; it then began to rain, as we reached a newly-built road that currently appeared to lead to nowhere. This diversion was huge, it was intense. So much so, I didn’t bother to take any photos as we soldiered on through the rain; following arrows as frequently as we could find them; circumnavigating high wire fencing when we were without. 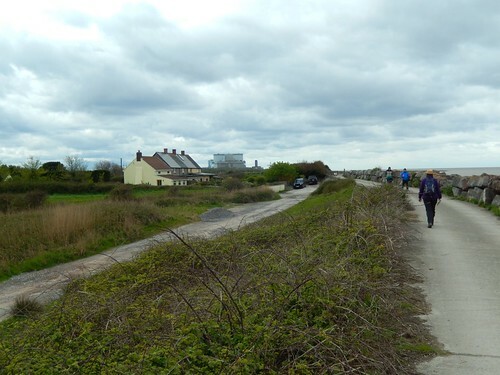 While it’s great that such a local section of the England Coast Path has been ‘opened’, it still feels as though, once again, we’re forced to follow the “coast” through Somerset on a route that’s incomplete. 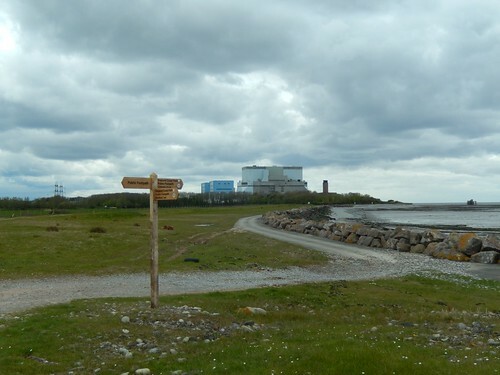 After a bit of a climb uphill while heading west, we were soon able to turn north and pass the nuclear power station one final time, as we, again, reacquainted with the proper coastal walk. We’re both curious to know what this structure is, part way out to sea. It almost looks like a small drilling right of some kind? Rain clouds were looming to threaten once more. Up ahead, it was glorious. 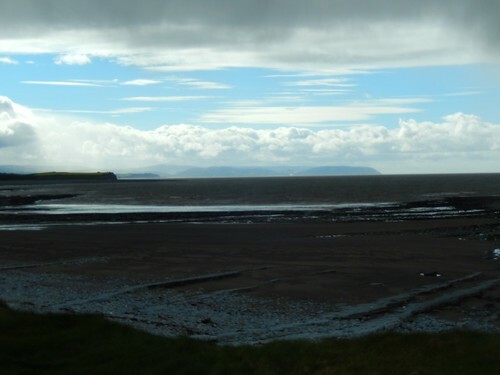 Not only had we returned to the coast but we could witness the hours of desirable walking to come. Looking on towards Minehead, North Hill and Bossington Hill. 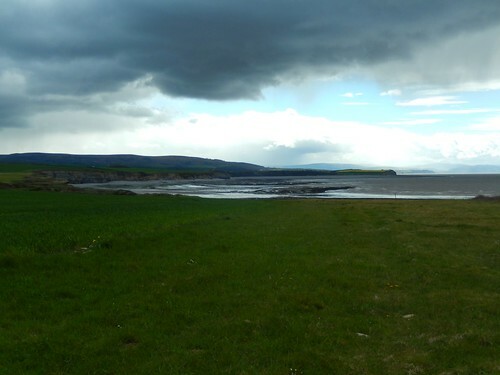 Mud and rock lay beneath us but it was a sweet sight for our sore eyes, having endured the Hinkley Point Diversion. While the memories, pains and struggles were still fresh in our minds, we soon came to feel good about what we had achieved and over come, on our return to Lilstock. There is a lot to look forward to from here on. 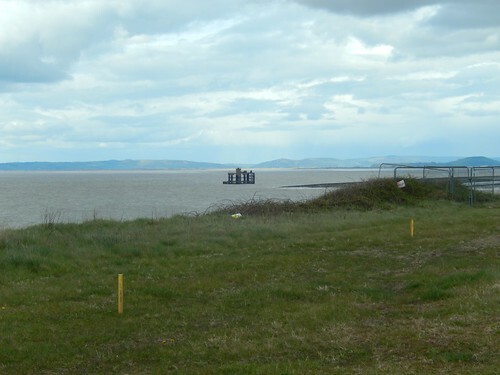 You’ve done the most frustraring sections of the Somerset coast now. From here on the coast path is actually (mostly) on the coast. 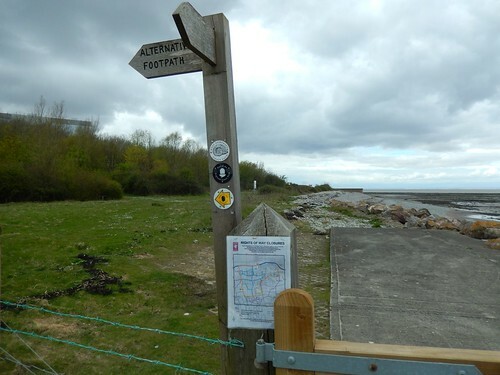 Indeed I see that the route I followed along St Audries Bay is now the official path. I shall be interested to see how you got on with that bit because it was a rather awkward route along the beach, I’m not sure if there is now an actual path or if the England coast path is simply putting up a few sign posts on the beach! Regarding the security when I was there the path along the front of the power station was open but I think the path onwards was blocked, so it was a dead-end. And it was being patrolled by a security guard. I don’t think there is anything to stop you walking along the beach though, but I could be wrong. 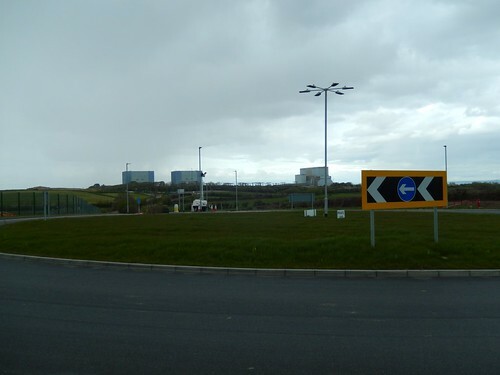 I note from this recent post of another coastal walker (https://walkingthecoastofgreatbritain.com/2016/04/21/102-minehead-to-hinkley-point/) the security “goons” have now taken to sticking rather aggressive notices on cars parked (legally) nearby too. 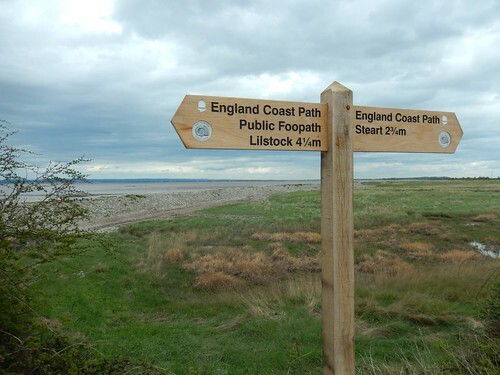 From what I’ve seen of the England Coast Path so far (and, without truly knowing the state of it previously), it does look as though they’re basically put signs, waymarks and the occasional new gate or stile along the route. It doesn’t look like they’ve negotiated the opening of new routes or anything… More so redefining what was already there.